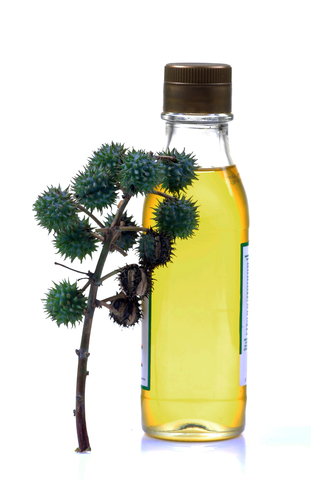 Castor oil is a natural substance that is produced by cold pressing the seeds of the Ricinus Communis, which is also known as the castor plant. The oil has been used by many different cultures for several centuries, as a beauty treatment, a laxative, and even an anti-fungal medicine. This powerful oil is rich in antioxidants, and has a number of beneficial effects. Many people also use castor oil for hair care, skin treatments and other parts of their beauty regimen. The Jamaican black castor oil hair loss treatment is one of the most popular hair treatments on the market today. Castor oil is an effective hair care treatment because it helps to promote the growth of your hair, prevents it from getting damaged or dried out during periods of bad weather, moisturises your scalp, and even helps to prevent split ends. Some culture believe that you can use castor oil for hair growth, and this is why castor oil hair treatment is so popular today. It is quite easy to use castor oil to take care of your hair. The first thing you need to do is find the right kind of castor oil. If you are not sure where to buy castor oil for hair treatment, talk to a pharmacist. Do not buy castor oil from a general store. There are two kinds of this supplement. Natural castor oil is cold pressed, and has a very pale yellow appearance. This is the best kind of oil to use for day to day beauty treatments, and is the only oil that you should be ever ingest. Industrial castor oil is used as a lubricant, and is produced in a different way which means that it may contain highly dangerous chemicals. Once you have found the right kind of castor oil, the next step is to prepare yourself to apply it. You should wash your hair before you apply castor oil to it. The oil works best if your hair is very slightly damp, but not wet. Treating your hair with castor oil can be quite messy, so it is a good idea to put on an old t-shirt, or at the very least wrap yourself up in an old towel before you begin. Pour some oil into a bowl so that it is easily accessible. Then separate your hair into two sections, parted down the middle. Dip a brush into the castor oil and rub it onto your scalp. If you don’t mind getting your hands oily, you can use your fingers to massage the oil into your scalp. This is the best way to apply castor oil to your hair because it has the added benefit of stimulating blood circulation in your scalp. Take a comb and comb the oil through your hair, making sure that you get a nice even coating. Once you have finished applying the oil to your hair, wrap your hair up in a towel or a hair cap, and let the oil soak into your hair for at least two hours. Now is the time to go and read a nice relaxing book! Once the two hours are up, wash the oil out of your hair in the shower. Use a mild shampoo which is rich in essential oils to remove all traces of the oil, and then treat your hair with a conditioner. You should apply castor oil to your hair once every two weeks to keep your hair looking clean, strong and healthy. If you have the time to do so, consider leaving the oil on your hair overnight occasionally. This will give it time to really sink in and will give you rich, luscious looking hair. Don’t expect to see amazing results after the first treatment. It will take a few treatments for the benefits to really show. Castor oil can prevent split ends, but it will not get rid of any split ends that you already have. It is a good idea to go to the hairdresser regularly and have them trim your hair so that it stays strong and healthy. If you don’t like the thickness of castor oil, you can add a little coconut oil to your treatment to thin it out. Coconut oil is also a beneficial beauty treatment, and it has the added benefit of smelling great too. You can apply castor oil to your eyelashes using a mascara brush, and can also use it as a skin treatment. 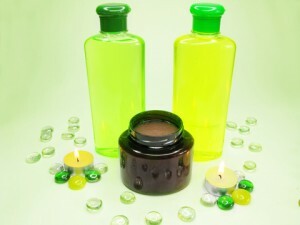 In addition to using castor oil for hair care and day to day beauty treatments, it is also used for medicinal purposes. Castor oil can help to remove warts and fungal infections, works as a laxative, and has many industrial uses too. Some naturopaths believe that castor oil has anti-cancer properties, but the American Cancer Society does not recommend that people use castor oil as an anti-cancer treatment. While castor oil is generally recognized as being a safe substance to ingest and to apply to your skin, there is no current scientific evidence to suggest that it can be used to treat skin cancer. If you have any concerns about your health, or any marks on your skin, consult a doctor immediately. can I use castor oil that says it is used for stomach pain? I mean I still used it for my eyelashes anyway and nothing happened. Castor oil has lot of benefits. But you include many things which I don’t know before.